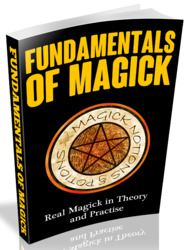 I have already described in detail the different kinds of incense and how to use them, starting on page 139. Incense is, as well as an elemental substance, an easy but powerful way of marking the boundaries between the everyday world and the magick. Frankincense, myrrh or sandalwood is sometimes burned on the altar before a ceremony to purify the area, especially if the room is used for other purposes, and to raise the vibrations from the mundane to the more spiritual. 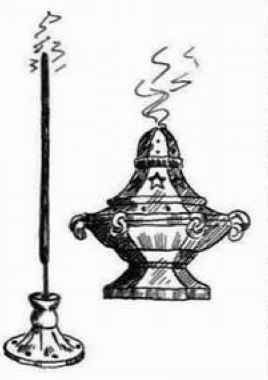 If you are using the granular kind you burn on charcoal, you will need a censer, but a bowl containing sand will serve for incense sticks or cones.